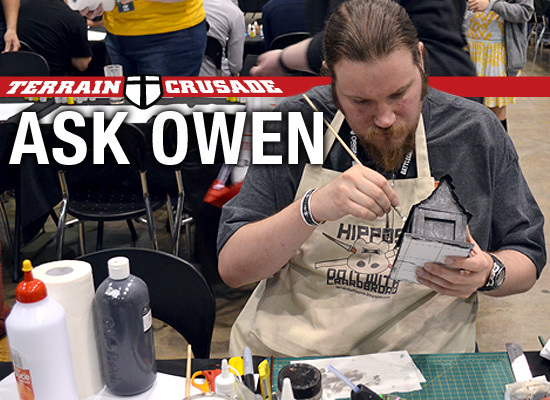 Terrain Crusade: Ask Owen in the Campaigner Magazine. There's been a change in the way Terrain Crusade, my regular article in The Campaigner Magazine works. Both the editor and I felt that we wanted to be able to directly address problems and questions the readers were having, so the column has shifted from a general workshop/tutorial sort of format to a Q&A format. You can send your questions in to the magazine and in every issue I'll try to answer as many as possible. I've placed a direct link to the Ask Owen column in the menu bar, or you can follow the Ask Owen link in this post.